Rungrez Lawn 2019 with Price from Rungrez Summer Collection 2019 Online Shopping Store. Oh no! currently active products from Rungrez doesn't exists, please browse products from other brands! Rungrez is a well-loved Pakistani brand that is known for producing high-quality fabrics with the latest traditional designs and silhouettes, for the women of Pakistan. 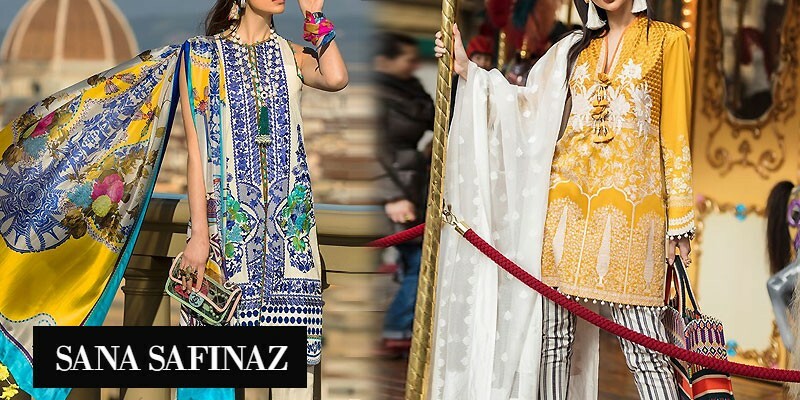 The brand has a diverse selection of ready to wear clothing, Rungrez lawn collection plus unstitched dresses as well from the collections by the name of Czarina, Rung E Mehar, Papillion, Blue Dreams, Allure, and much more. Rungrez offers a range of different cuts and fabrics in their pret wear, where sizes vary from small to large ones. They have dresses available that can be worn for any occasion and their complete range is available in multiple stores in over 45 small, plus main cities of Pakistan. Rungrez has a relatively quick delivery time and also offers shipping to the international destinations, with standard shipping charges for Pakistan based addresses, plus a 5-day return policy on sold orders. PakStyle.pk is a growing online fashion boutique that provides list of latest Rungrez Lawn 2019 with Price from Rungrez Summer Collection 2019 Online Shopping Store in Pakistan. The company offers latest Rungrez Lawn 2019 at affordable prices from reputable online retailers with Free Home Delivery in Pakistan. Rungrez Lawn 2019 has become a trendsetting lawn collection 2019 in a very short period of time due to its versatility, innovating designing ideas and creative techniques. Get Rungrez Lawn 2019 with Price from Rungrez Summer Collection 2019 Online Shopping Store in Pakistan. If you are looking for eye-catching and appealing Rungrez Lawn Design 2019, Rungrez Lawn 2019, Rungrez Lawn 2018 or Rungrez Lawn 2017 Collection Online in Pakistan including all major cities such as Karachi, Lahore, Islamabad, Rawalpindi, Faislabad, Sialkot, Pesahwer, Quetta, Multan and many more cities. Just visit PakStyle.pk and explore Rungrez Lawn 2019 with price online.